In August 2015, Europe was confronted with the largest refugee crisis it had seen in years. The wars in the Middle East resulted in over one million men, women and children risking everything for a better future. Germany became the preferred destination for many who survived the treacherous journey, but integration was the next step. In 2015, the DFL Foundation set up its Wilkommen in Fußball (Welcome through Football) initiative. 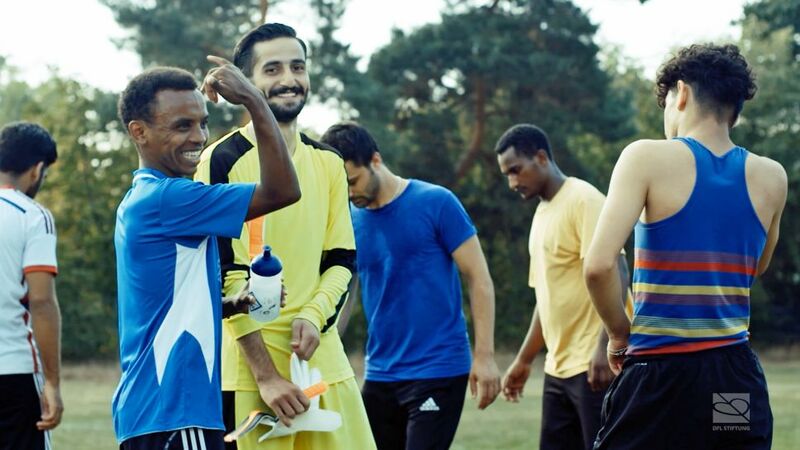 Working with Bundesliga and Bundesliga 2 clubs, local institutions, figures and amateur football clubs, the Wilkommen in Fußball initiative uses the power of football to unite young refugees from around the world, and further their integration into society. In addition to open training programmes and regular football tournaments, the Wilkommen in Fußball initiative offers cultural, educational and networking opportunities to over 800 young refugees nationwide. It currently has more than 23 'welcome hubs', which organise upwards of 65 activities every single week. This nationwide commitment to helping young refugees is part of a programme run by the German Children's and Youth Foundation, initiated and supported by the DFL Foundation and the Commissioner for the Federal Government for Migration, Refugees and Integration. The DFL Foundation has, along with the government, invested €1.5 million Euro in the "Welcome through Football" project (data correct as of 07/2017). Each project receives not only financial aid but also need-based help on-site. Furthermore, the different people involved in the programmes are networked with each other and are qualified to strengthen each project's independence and to make it sustainable in the long-term. Wilkommen in Fußball is a field-leader in the social integration of young refugees. The programme provides practical examples of successful cooperation and integration through sport, and would like to inspire other social actors to engage in similar activities.